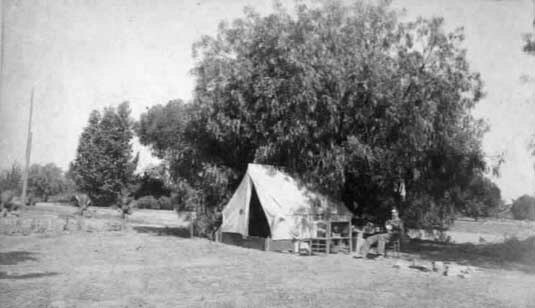 The note on the back of each picture says: " P. Bond & tent 2 miles north of Pomona, Cal." 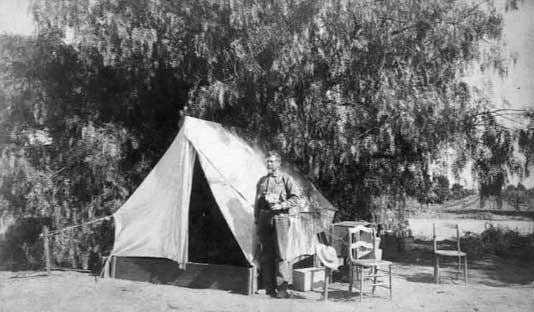 The Photographers stamp reads: "J. Hardy, PHOTOGRAPHER, Pomona, Cal." photos courtisy of Ruth Dolby. note: I think the second photo is not Pelatiah because he looks too tall,could be Edward Bond. Photos could have been taken around 1886. Ty & Nellie (Edwards)Bond circa 1862, Ty Bond, Myrtilla Bond, Iona (Bond )Daly, Robert Daly, Bertha Daly.